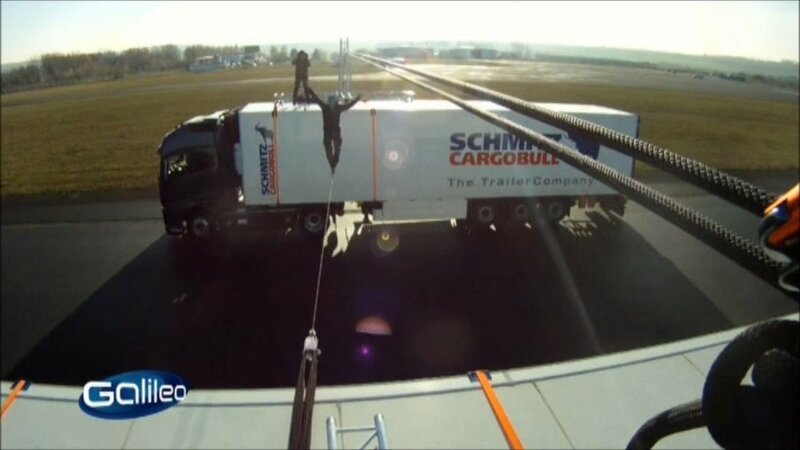 Alex was stuntman for the fake check of the Volvo ballerina stunt, in which Faith DIckey balanced over a rope rigged between 2 moving trucks. 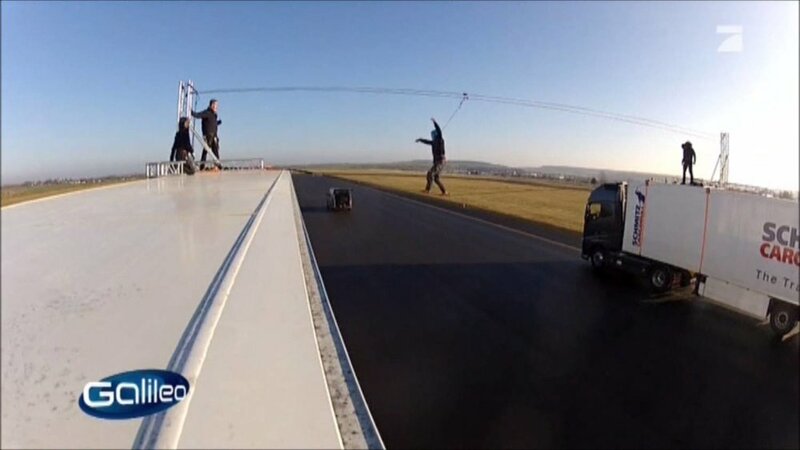 He repeated the feat in order to find out if it is possible to walk a slackline with 80 km/h wind from the side. The result: Winds of 80 km/h is too fast, but 50 km/h it is still doable.